Our experienced technicians will promptly attend your site and repair the impacted equipment or provide recommendations on replacement of parts or units. 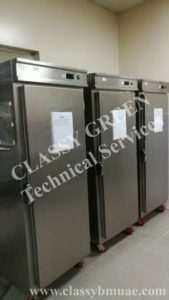 CLASSY GREEN recognises that the modern restaurant, catering or food service business depends upon electricial, refrigeration and gas catering equipment working efficiently. 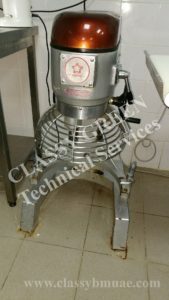 To ensure that your business is not adversely affected by unexpected breakdowns or inefficient performance, “Classy Green” offers a scheduled maintenance service to ensure that your commercial catering equipment is reliable and operating in safe working order. Our highly experienced team of qualified Refrigeration Mechanics and Gas fitters have been trained by major commercial equipment manufacturers to ensure that your food valuable equipment receives a highest standard of care. 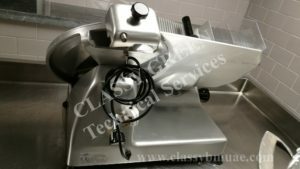 With many years of industry experience and specialist training from product manufacturers, our fully qualified team of Refrigeration Mechanics will correctly install your commercial catering equipment first time, every time. 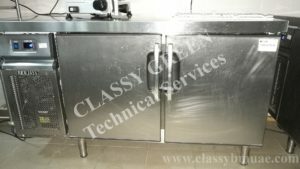 Classy Green Kitchen Equipment Maintenance Services (Dubai): is at the forefront of innovative commercial catering and food production solutions with staff trained in the latest commercial catering equipment. We have alliances with all major manufacturers of commercial catering equipment and can recommend the perfect solution to meet your business needs. 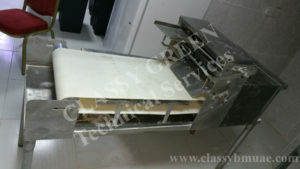 To find out how Classy Green can assist your business, contact us today.